In a world with ever changing technology, Moore’s law describes a long-term trend in the history of computing hardware: That the number of transistors that can be placed inexpensively on an integrated circuit has doubled approximately every two years. Although this exact formula has been disputed, it is more of a guide for this post. GigaOM posted a fantastic graph on Smart Phone Speeds, Global Data Forecasts, Mobile-Only Phone Access, Broadband subscribers and Internet use by country. In Smart Phone Speed: Western Europe barely leads the way with an average of 691 kbps with Japan right behind with 690 kpbs, with the U.S.A. falling in at a much slower 418 kbps. Global Mobile Data forecast for 2012 shows Western Europe leading in first place at 35k Terabytes per month, with Asia Pacific coming in at 27K and the U.S.A. at about 23K Terabytes per month. Mobile only phone access Mexico takes the lead at 48% of the country on cellular phones, with South Africa and Italy tied for second at 39% and Brazil follows with 35%. AT&T’s mark the spot app now available in the Android Market, T-Mobile where is yours? The mark the spot application has become famous on the iPhone. People can run around town marking all of the places where AT&T’s network is giving them issues. The app is simple enough, it is meant to report to AT&T so AT&T knows where it can work to help improve its network. With how big the United States is, its hard to make sure everything works perfectly everywhere throughout the country. That is why AT&T is getting voluntary users to help show them all the places that need work. Now we need T-Mobile, Sprint, and Verizon to make apps like this. Even though some of these networks are better and/or worse than AT&T, I think this is a good step in the mobile customer service department. 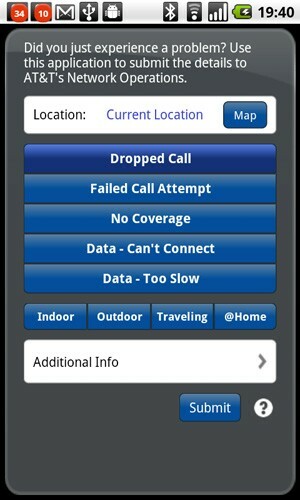 All carriers should have this application to help show them where the network needs work. I have had first hand experience in Palmdale/Lancaster, California. The T-Mobile coverage map shows full speed 3G service throughout both cities, however there are a ton of places that 3G signal is non-existent. In many cases, even when there is 3G, the download speed is usually equivalent to the lower speed Edge network. So I hear by declare a cry out for help to all networks, find a way to allow your users to easily report network issues! 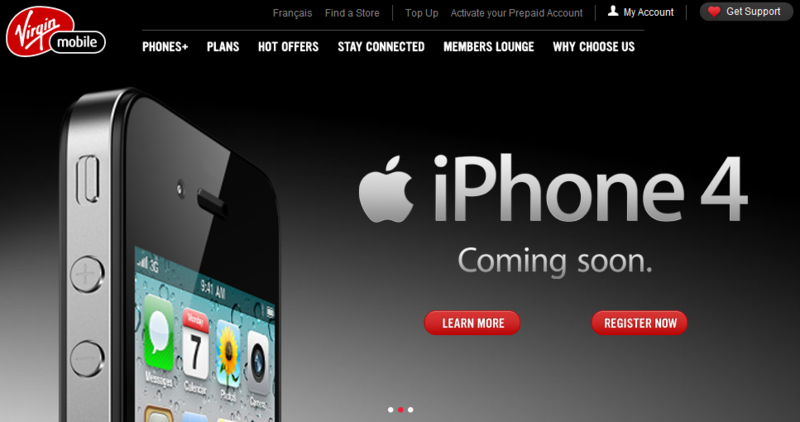 Virgin Mobile now shows that the they will be carrying the iPhone 4 “soon.” There is not any info on release date or the pricing structure they will use but they join Rogers, Fido, Bell and TELUS in carrying the iPhone 4. If you register on the website they will tell you when it will be available for purchase from them.